Do you want to know why I love the fall? Cooler weather, football, falling leaves, apple season, and pumpkin spice if that’s your thing! 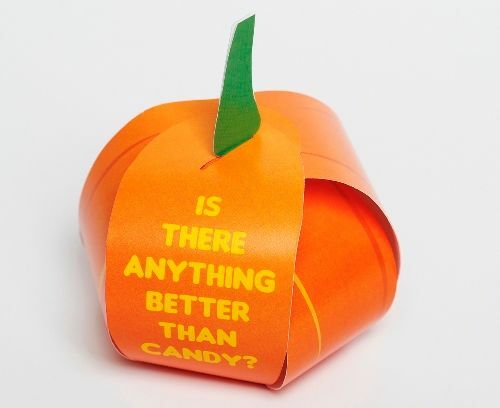 As fall approaches and we start to shift our focus to Halloween and Thanksgiving I am excited that share with you the Is There Anything Better Than Candy? Box-Tract from Let the Little Children Come. I am here to tell you, YES, there is something better than candy! Let the Little Children Come provides tools for child evangelism such as their Is There Anything Better Than Candy? Box-Tract. These little tools are specifically designed for sharing the Good News with kids. 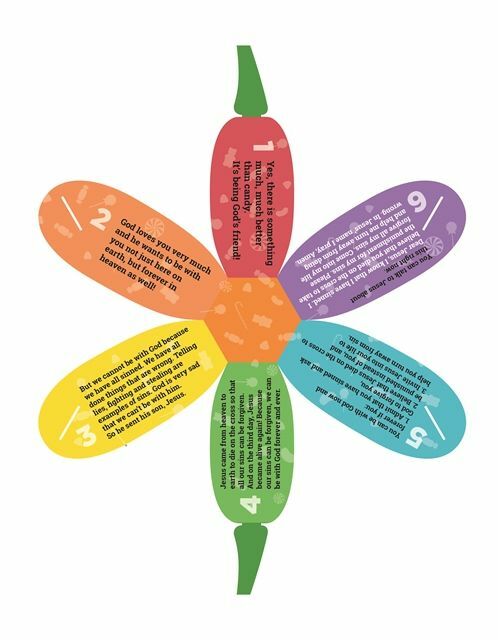 Each of their child evangelism tools are more than just simple children’s tracts you may have seen before. Every product is designed to capture and hold the attention of children young and old, all the while not distracting them from the main message; the salvation through Jesus Christ. Is There Anything Better Than Candy? Box-Tract is cute little pumpkin shaped gospel tract that comes in flat packs of 20 tracts for $15.95. If you need more the company does offer bulk discounts. It can easily be assembled by children of all ages. 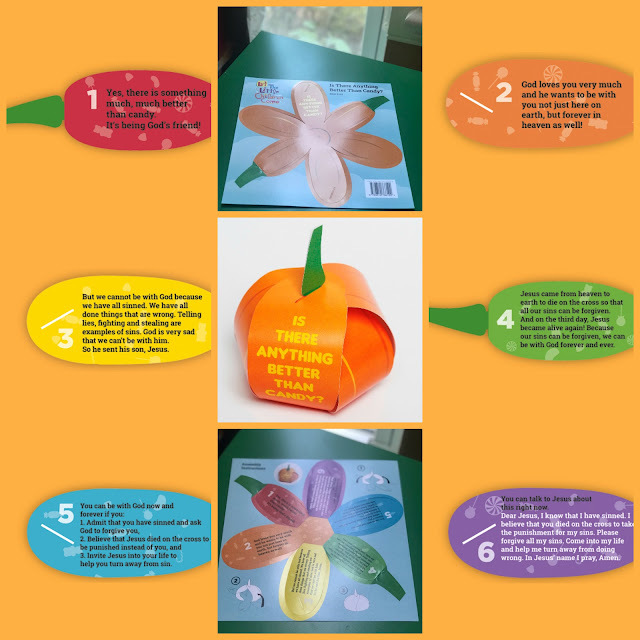 A helpful assembly sheet is provided with detailed directions, but it is a simple as folding and tucking each of the 6 flaps of the pumpkin. 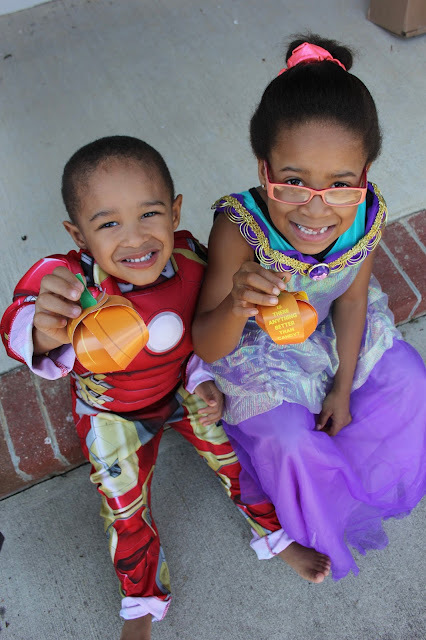 Each of the colorful pumpkin flaps tells of God’s love for you and how He sent his only son, Jesus, to save us. The plan of salvation is written so that even young children can understand God’s love for us. 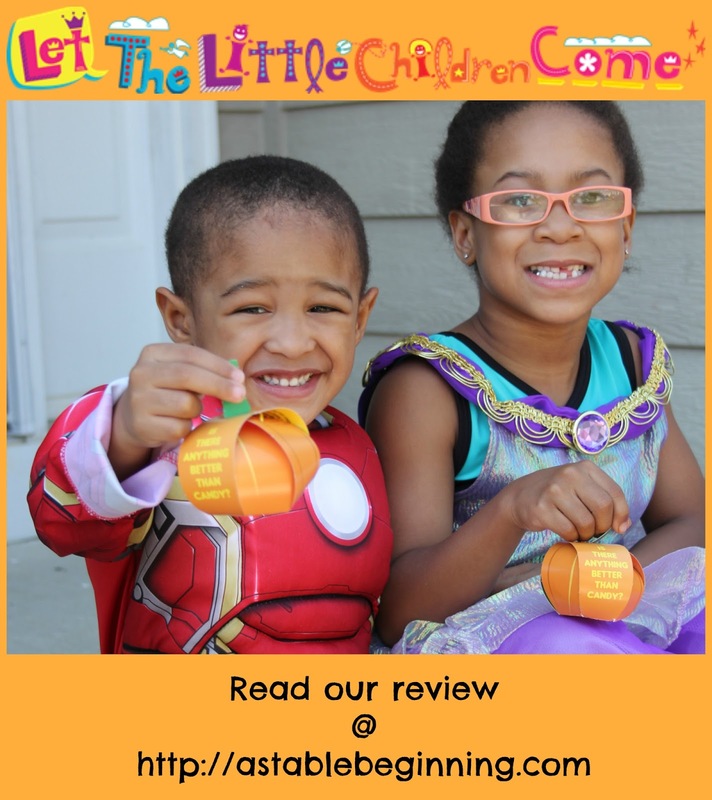 The last pumpkin flap includes a prayer for any child ready to receive Jesus in their heart. Assembling these were super easy! The first step is to carefully tear out the pieces of the tract. This was really easy because the paper is thick and it is perforated. Next just fold the sides of the pumpkin flaps up and tuck into place and viola, a cute pumpkin with an extra special message inside! I love that the flaps are so bright and colorful and that they are numbered too so the child knows the order in which to read the flaps. McKenzie has been expressing interest in baptism, so I love how the plan to salvation is laid out right before her eyes to see. As a family we talked about what we could do to share the gospel of Christ and everyone agreed that these would be the perfect thing to hand out to our friends at the children’s individual sports. 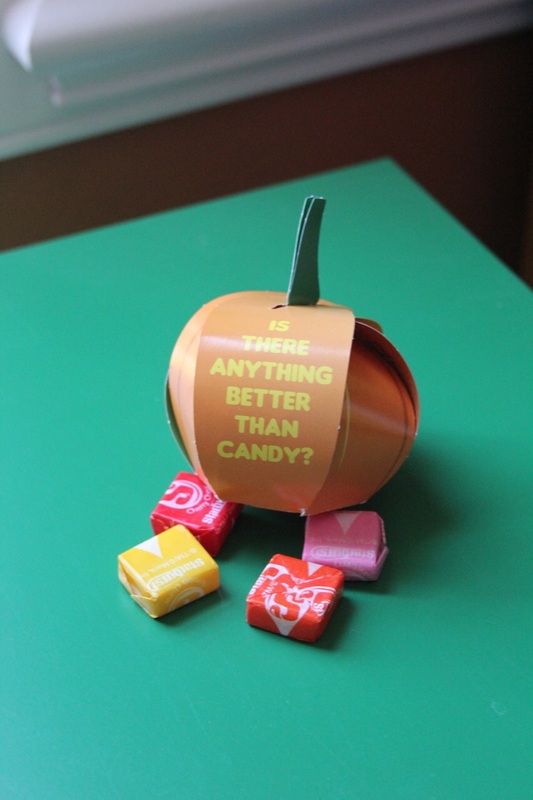 We normally don’t get many children coming by our house on Halloween but we are going to set a few of these out in case some children do come along and place a little piece of wrapped candy inside. We will definitely be ordering more of these sets and handing them out to our gymnastics and cheerleading friends mid-October! And if we decide to participate in our church’s Trunk or Treat night, these will be perfect! What a great way for children to share the gospel! Be sure to check out how my CrewMates are using these tracts by clicking the banner below!